A convergence of numerous, mostly negative, factors—economic, historic, and social—have merged in our nation’s history to produce a significant underclass populated by a disproportionate number of African Americans. To understand race in America, one must come to grips with this often harsh and crushing reality. “With the declining presence of middle-class blacks, inner city black neighborhoods during the 1980s and 1990s grew increasingly impoverished and dysfunctional. Role models, civic leaders and vital job contacts (most jobs are filled through personal connections) diminished. A black underclass emerged. Crack cocaine, crime and the code of the street became invasive. Young black urban males had little incentive to graduate from inferior public schools into a job market with falling real wages and little career opportunity. Selling crack for $3.50 to $7.50 an hour, with a slim chance at bigger money and a 25% chance of being killed, was still more attractive than the labor market. Young black women, meanwhile, saw little logic in marrying young men with no future. Yet having a baby was the singular means to establish a sense of self-worth and meaning for impoverished young black women. So the black out-of-wedlock birth rate soared. These are logical decisions given the structural circumstance. “Such are the intertwined consequences in the second half of the 20th century of the legacy of human capital and wealth deprivation experienced by America’s blacks emerging from the post slavery South. This is a social injustice, exacerbated still by lingering discrimination across markets. Structural conditions endured by many blacks as a result of these deficits and continued discrimination lead to rational choices that better-endowed whites view as suboptimal. Nearly three-fourths of white evangelicals believe that the black-white socioeconomic gap is the result of black culture and lack of motivation and initiative, or both. ‘Blacks need to get off their butts’ it is claimed. Being born on third base, many whites think they have hit a triple. Nothing beats a good job. Not just work, but a decent job, a job you enjoy, a job that pays a living wage for a hard days work. Take a look at this group. This is Central Dallas Ministries' latest construction trade skills training class at their graduation celebration upon the completion of 13 weeks of hard work and focused, hard-skills training. CDM's WorkPaths initiative joins forces with OAI and the Construction Education Foundation and Brookhaven College to provide this training. The result: most, if not all, our 18 graduates in this class will go to work immediately for contractors that will pay them between $12 and $16 an hour to start. Accomplishment that counts. You should have seen the faces of the family members who witnessed the graduation. By the way, a huge thanks to the folks at the Riverside Church of Christ in Coppell, Texas. The brand new work clothes and boots that our students are sporting were provided by this great group again this class. Thanks so much! I’ve been breaking down the research of John E. Stapleford that is reported out in his very insightful essay, “A Torturous Journey: The Condition of Black America,” (Christian Scholar’s Review, XXXVII, No. 2, Winter 2008, pages 240ff). You can read my previous posts on his work by backtracking a bit (April 15, 18, 24, 2008). Our nation is involved in a new and serious conversation about race as we head for the general election in November. Stapleford’s work is important for any meaningful conversation based on hard data and genuine understanding of the issues facing the nation and, more particularly, African Americans. To conserve space, I have summarized much of what he presents, but all of what follows comes from his work. The way out of the economic hole facing blacks in the United States was found in access to “the job growth centers and quality education available in the suburbs of our older metropolitan areas. But their wealth deficit, among other factors, prevented ordinary black families from participating in the wave of suburbanization. As sons and daughters of sharecroppers, small farmers and laborers in the South as late as the 1940s, blacks not only had a human capital deficit but had little opportunity to accumulate wealth. Sharecropping and farm labor continued a post-slavery version of white supremacy over blacks. . . .There was little or no opportunity for the accumulation of wealth” (242). During the 1950s and 1960s, blacks were excluded from both Veterans Administration (VA) and Federal Housing Administration (FHA) mortgage products. Numerous (“a wave”) of discriminatory deed restrictions. The removal of these roadblocks did not offset the lost opportunity for the accumulation of wealth via the rapid appreciation of suburban housing values from which blacks were systematically excluded. Fact: during the 1990s, nearly 50% of all white families who bought homes got their down payment from family or sources other than their own savings, whereas only one out of 8 African Americans enjoyed such positive options. Each year a $225 billion intergenerational transfer of wealth occurs in the U. S. For every $1 available for transfer among whites, there is only 10 cents available for transfer among blacks. The median inheritance of white households is almost 13 times that of black households. Less than half of black households are homeowners, for whites the number is ¾. Empirical research indicates that renter-dominated urban neighborhoods have a negative impact on health, personal development and school outcomes. Blacks lack needed transportation to outlying job centers—24% of blacks own no car (7% for whites); this number rises to 70% in high-poverty, inner city neighborhoods; the median value of black-owned vehicles is 42% that of white-owed cars. From 1960 to the late 1970s, over 22 million whites moved into suburban communities and the white population in central cities declined by 4 million. During the same time frame, black population rose by 6 million in the central cities and the suburbs gained only 500,000 blacks. Key factors in the creation of the reality we all face today. "The U.S. has less than 5 percent of the world’s population but almost a quarter of its prisoners. But it has almost a quarter of the world’s prisoners. Indeed, the United States leads the world in producing prisoners, a reflection of a relatively recent and now entirely distinctive American approach to crime and punishment. Americans are locked up for crimes — from writing bad checks to using drugs — that would rarely produce prison sentences in other countries. And in particular they are kept incarcerated far longer than prisoners in other nations." I plan to work through more of the content here in the near future. But for today, consider my friend Frank. Years ago, Frank was arrested for burglary of a building. Bad mistake. He served time for his felony, including a fairly long period of probation which he completed in 2002--six years ago. Since that time, Frank has not had so much as a parking ticket. He has been clean. Never arrested again. No problems with law enforcement of any kind. Problem is Frank still can't lease an apartment or get a job or function as a productive member of our community because of a mistake he made over a decade ago. He's been "living" out behind one of our buildings for some time now. Homeless. No where to go. Until now. . .he moved into one of our apartments yesterday, thanks to our staff and members of our AmeriCorps team. He has been working on obtaining Social Security disability due to several rather severe and chronic health issues, including congestive heart failure to name just one of the most serious issues. Life on the street leads down this health path so often. He recently received those benefits. Frank's case reveals that our criminal justice system is not working, not if we want to maximize productivity among those who really want to do better with their lives. Read The New York Times' article. But, more importantly, don't forget Frank. He has lots of company out there today. Yesterday afternoon, I met with the owners of the two apartment complexes in North Dallas where we provide housing for formerly homeless, disabled neighbors via our growing "Destination Home" program. "Destination Home" is funded by the U. S. Department of Housing and Urban Development (HUD) through our local area continuum of care. Our effort fits in with the local 10-year plan to end homelessness. The purpose of my meeting with the property owners was to explore the possibility of our leasing 55 more units of housing thanks to our most recent grant award from HUD. As we discussed our next agreement, one member of the management team of the company said, "You know, when we started this arrangement, I thought the whole thing was crazy. But, now I have to tell you, we are eager to take anyone you refer to us." Another team member chimed in, "The formerly homeless tenants not only are not a problem, they are fitting in well with community here. We are grateful that they live on our properties." Just more confirmation. Housing first as a strategy for cutting deeply into homelessness in the United States works, and big time. We cut a deal to place 55 new friends in permanent suppotive housing. It won't be a problem. It will be one more step toward a solution. One more time: how do we solve the problem of homelessness? The significant research of John E. Stapleford provides content for a meaningful conversation about race in America. As in previous posts (April 15 and 18, 2008), what follows is taken from his important paper, “A Torturous Journey: The Condition of Black America,” (Christian Scholar’s Review, XXXVII, No. 2, Winter 2008, pages 240ff). Stapleford argues that African Americans entered the 20th century with both human capital and wealth deficits created by their experience of slavery and Jim Crow segregation. Human capital is measured in part by educational benchmarks. In 1910, 3% of white adults were illiterate, compared to 30% of black adults. By 1920, illiteracy rates had dropped to 2% and 23% respectively for the two groups. However, “black illiteracy was concentrated spatially, ranging in 1920 from 26% in the South to 7% in the Northeast and Midwest. By 1940, 63% of black adults had a sixth grade education or less, in contrast to 17% of white adults. Seven percent of black adults had a high school education or better in contrast to 29% of white adults” (240). “Southern black children received. . .fewer days of schooling than southern white children. In Mississippi in 1940, for example, white children spent 136 days in school while black children, in inferior facilities, spent only 96 days in school. Per-pupil spending that year in Mississippi was $513 per white child and $89 per black child. This was the human capital that black migrants brought to the industrial Northeast and Midwest” (240). *The decline in manufacturing in the U. S. economy. Manufacturing dropped from 31% of non-farm labor in 1950 to 11% in 2005. *The suburbanization of manufacturing and low skill service jobs. Between 1967 and 1987, Philadelphia lost 64% of its manufacturing jobs; Chicago lost 60%; New York City, 58%; and Detroit, 51%, a disappearance of over 1.1 million jobs, Similarly, between 1970 and 1985, the total jobs requiring less than a high school degree declined 33% in New York City and 44% in Philadelphia. *The globalization of new manufacturing jobs. *The structural shift of employment growth into services where education was the major determinant of the level of earnings. *Changes in technology produced occupation bifurcation, separating service workers by education into the haves and have nots. *The surge of married (and educated) females into the labor force. The labor force participation rate for married women jumped from 25% in 1950 to 61% today. . . .
*The decline of unions. In the 1950s, unions included 32% of all wage and salary workers and today include only 13%. Typically, unions raise the wages of less skilled workers. *The second Great Wave of immigration. . . .
“The result of all this was a decline in the real wages of low-skill workers that began with the recession of 1973-75 and still exists today. . . .In today’s service economy, formal education is the path to an income that can support a family, to health care coverage (most particularly preventive care), and to the accumulation of retirement benefits. The working poor have none of these things, and a disproportionate share of American blacks is confined by a deficit in human capital to the ranks of the working poor” (241-42). As I arrive at my office, I watch a man, several years younger than I, get out of his car. He “stepped out” of his car and down onto his heavily padded knees. Both legs had been amputated just below his knee. He “walked” on his knees around to the other side of the car, removed his wheelchair and started my direction. He had seen me arrive and noted that I was still talking on the phone before getting out of my car. As he approached, I noticed that his right arm had also been amputated just below his elbow and that his only hand was in fact half a hand. Here was a man with challenges. As he drew nearer, I introduced myself and took his shortened right arm in my hand to shake. I learned that his name was Dennis, that he lived in Tyler, Texas and that he had come over for an appointment at Baylor University Medical Center, located a stone’s throw from my office. He needed some help with a room for the night. He made it clear he needed to “clean up” before making the doctor’s appointment. I did my best to “expedite” our typical processes for him. He encouraged me with his attitude, demeanor and ability to engage me and everyone else in his environment. Take away: never count anyone out. Take away #2: I've got a lot to learn. I’m on the road to Chicago. Interesting assignment comes with this trip. Friends at Bank of America in Dallas asked me to testify at a Federal Reserve Bank of Chicago hearing regarding the acquisition of Countrywide Financial Corporation by their bank. The public meeting is a part of the normal procedure whenever mergers and acquisitions such as this occur. All I can do is speak to my experience with Bank of America Dallas. It has been very positive, but I feel a bit caught between. I know there are a number of regulatory issues going forward that must be addressed, not here, but in and by the U. S. Congress so that we can avoid future situations like the current sub-prime crisis that disproportionately affect middle and low-income working people who desire more than anything to be homeowners. Jesse Jackson spoke to the panel before it was my turn. I wish I knew what he had to say, but I arrived later in the day. As I interact with folks in attendance, it becomes clear that the criticism is directed at the business practices of Countrywide and the hope for new, more equitable practices resides with Bank of America and its management style. I rode the Orange Line from Midway Airport downtown for the hearing. Chicago is a real city! As I stepped off the CTA train and walked down the steps from the track platform to the street, I encountered a beggar holding a paper cup. He must have been in his sixties. He asked for change. No one paid any attention. Being an outsider, I stopped to visit. And, yes, I made a contribution. Debate that all you want, I enjoyed talking to him, and I figure he earned his money by putting up with me! Walking down the street in front of the Federal Reserve Bank of Chicago and the downtown offices of Bank of America, I felt overwhelmed by the wealth and the power that attends such financial capacity. The stark contrast is everywhere I go. I can’t avoid it. The rich, the poor—the amazingly wealthy and the devastatingly poor. It is clear the gap is widening, especially in our major urban areas. The contrast drives me forward. What do you see? What are your "impressions" as you walk around in your world? Think this campaign season has turned negative and bitter (no pun intended, Senator Obama!)? 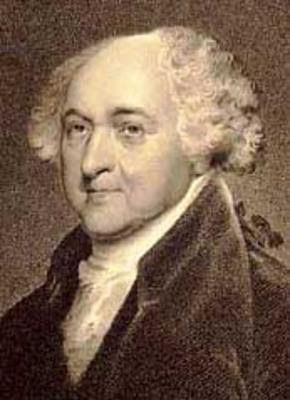 You would have loved the election of 1800 that set Thomas Jefferson against the incumbent John Adams. The Federalists attacked Jefferson unmercifully, branding him a Jacobin and an atheist. His election, critics warned, would bring "dwellings in flames, hoary hairs bathed in blood, female chastity violated. . .children writhing on the pike and halberd" (George Brown Tindall, America: A Narrative History, page 324). 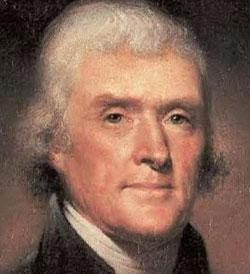 Jefferson won. Monday, April 21, 2008 will go down as a very different day in the life and history of Selma, Alabama. Republican Presidential nominee, Senator John McCain became the very first Republican candidate for the nation's highest office to visit the city ever. 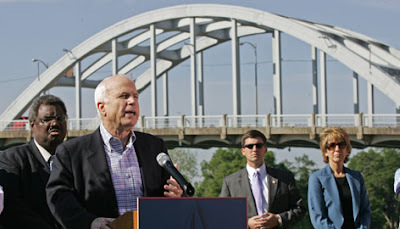 McCain made a speech at the foot of the Edmund Pettus Bridge, an icon of the Civil Rights Movement in the South. Surprises everywhere. I applaud McCain for his trip to Selma. Nice move. 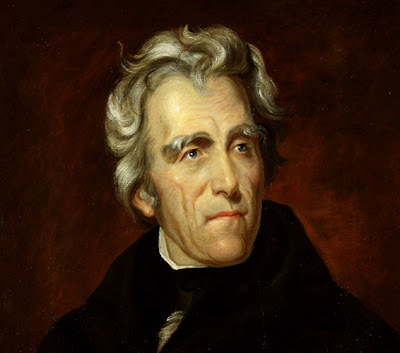 Even worse than the Jefferson-Adams struggle of 1800, just read some of the campaign rhetoric during the days of Andrew Jackson! Old Hickory had his detractors for sure. I remember doing research while in graduate school at Tulane University that set me reading newspapers from the 1820s and 1830s. The editorial comments made the current news of the political day sound like a Sunday School picnic. Face it: Americans have always fought dirty when it come to politics! Anyone have other rough and tumble political campaign stories to share? Revealing survey information. . . Here at Central Dallas Ministries we endeavor to measure what goes on. We pay more and more attention to outcomes, trends and the stories that statistics weave for our consideration. About this time last year we received the following feedback from the neighbors who come to us seeking solutions to pressing issues. The first report is encouraging. The second, very hard to read. Revealing stuff. A March 2007 Community Health Services (CDM's health) clinic survey found that 93% of patients reported improvement in their health, 80% said they were better able to participate in daily activities and 90% said CHS had contributed in a meaningful way to their overall health. A May 2007 Food Pantry survey found that 91% of neighbors say the assistance received at the food pantry has helped them deal with their personal financial crises. Sixty-one percent (61) reported that in the past 12 months they were forced to cut the size of their meals or skipped meals because there wasn't enough money for food. And, 66% ate less than they felt they should because there wasn't enough money to buy food at some point over the preceding 12 months. Of those surveyed, 42% reported buying less food because they needed to pay for medicine and/or medical care. Fifty percent (50) bought less food so they could pay for utilities, while 47% bought less food so they could pay their rent/mortgage. Bottom line bad news (and no surprise): poor people are forced to make hard choices unknown to most of us on a regular basis, choices that affect the quality of their lives in significant ways. What is really disturbing here is the fact that so far this year our demand in the Food Pantry is up over 30%. I'm not looking forward to reading results of the next survey. We must find ways to do better, don't you think? The phone woke me up at about 11:15 p.m. on Thursday night. The voice on the other end was a young man who works at the independent living center where my mom resides. He calmly identified himself—I recognized his very kind and reassuring voice, “Miss Mildred fell and she called for our help,” he reported. I asked if anything was broken or if she was hurt badly. He reported that she couldn’t get up on her feet. I asked him to call 911 and told him I was on my way to her apartment. To make a long story short, we ended up in the hospital emergency room where, unfortunately, we discovered that she had a broken hip. His response reminded me of the words of Jesus when he told his friends on one occasion, “. . .when you have done all that you were instructed to do, say, 'We are unworthy servants; we have done only what we ought to have done! '” (Luke 17:10). It was strange, but as I made my way through the next couple of days, during which my mother had surgery to repair her hip, I heard several people say basically the same thing when others were expressing thanks for their kindness and their hard work. One man told someone, "No problem, this is what I'm here to do." It’s a good way to look at life, work and day-to-day reality in any community. If more people embraced their duty with such a clear-headed focus and self-understanding, what a world it would be, don’t you think? Without a genuine sense of obligation, duty and commitment to performance, community life fails, especially in the crucial moments of life. I told our young friend that I understood what he was saying and that I appreciated both his professionalism and his obvious concern for my mother and everyone else in the community. “I’m very grateful that you are here,” I told him. I’m more than glad, as well. And, my mom is doing well following her surgery. John E. Stapleford published a significant paper in the latest issue of Christian Scholar's Review entitled, "A Torturous Journey: The Condition of Black America" (XXXII:2, Winter 2008, pages 231-251). It is a tough read in terms of facing up with a continuing reality. But, in my view, a must read. What follows are quotes lifted from Stapleford's extensive research. For the sake of space and due to my limited format here, I'll omit most of the extensive footnotes that document all that he reports--I do list a few in the text of the quotes below. For those interested in following all of his sources, check the journal. In labor markets, even after controlling for observable proxies for productivity, family structure and the attractiveness of welfare, black and white earnings differentials remain. Labor market audit studies confirm the existence of discrimination. Just having a black-sounding name can reduce callbacks for job interviews from similar resumes by as much as half (see Marianne Bertrand and Sendhil Mullainathan, "Are Emily and Greg More Employable Than Lakisha and Jamal? A Field Experiment in Labor Market Discrimination," in The American Economic Review 94:4, 2004, pages 991-1013). Market audit studies also confirm discrimination against potential black renters and owners in housing markets with regard to availability, opportunities to inspect, agent encouragement, and geographic steering. Racial discrimination is found in home mortgage lending in the form of high-cost, inappropriate, or predatory financing. Even controlling for credit history and household income, blacks are less likely to have access to prime lending and more likely to experience high rates of foreclosure in the sub prime market. Capital market discrimination is also found in business lending where black firms are more likely to be denied credit and have significantly less access to debt financing than white-owned firms. . . . Bias in sentencing outcomes is found in America's criminal justice system. For example, after controlling for a variety of factors, black offenders receive longer sentences than white offenders and all offenders receive lighter sentences when the victim is black (Edward L. Glaeser and Bruce Sacerdote, "The Determinants of Punishment: Deterrence, Incapacitation and Vengeance," Harvard Institute of Economic Research, 2002, paper 1884). Facts of life 40 years after the death of Dr. King. For more of Stapleford's research findings, refer back to my post last Tuesday, April 15. 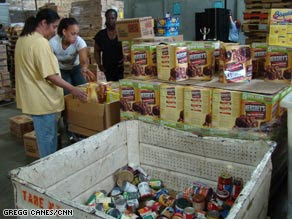 During the first quarter of 2008, visits to our Resource Center by individuals and families seeking assistance with food and living expenses increased by over 30% compared to the same time period this time last year. The increase is both amazing and a very real cause for concern. Growing numbers of working people are not doing very well. And, it appears that the numbers are growing. This is the news from Dallas, Texas. What's the word from your community? A couple of weeks ago, I ran across the following editorial comment in The New York Times. No doubt it will set off a lively conversation, if readers I know are here decide to weigh in! But, the points made are very real and complicate the debate on the future of undocumented immigrants. Let me know what you think. We’re not talking chump change. According to the report, the taxes paid by other-than-legal immigrants will close 15 percent of the system’s projected long-term deficit. That’s equivalent to raising the payroll tax by 0.3 percentage points, starting today. That is not to suggest that illegal immigration is a legitimate fix to Social Security’s problems. 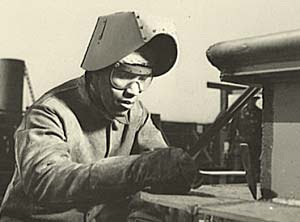 It is another reminder, however, of the nation’s complex relationship with undocumented workers. Would the people who want to deport all undocumented workers be willing to make up the difference and pay the taxes that the undocumented are currently paying? It is also a reminder of Social Security’s dynamism. As society and the economy evolve, so does the system, responding not only to changes in immigration and fertility, but also in wage growth and other variables. As such, it is adaptable to the 21st century, if only the political will can be found to champion the necessary changes. Those include modest tax increases and moderate benefit cuts that could be phased in over decades — provided the country gets started soon. So, how are we doing when it comes to race in America? Black household median income is 65% of white household median income, and given the rate of closure over the past 40 years, it will take 150 more years for the nation to reach parity. One of 4 African Americans lives in poverty--for white Americans the ratio is 1 of 12. Over any 4-year period 54% of blacks will have a run of poverty, while in the white community 28% will have the run of bad luck. One-third of black children are poor, compared to 10% of white kids. Black families possess 10 cents of wealth for every dollar of wealth held by whites families. Median inheritance for whites is $10,000, compared to $798 for blacks. A person is considered "asset poor" if his/her access to resources is inadequate to meet basic needs for 90 days. The asset poverty rate for white families was 19.7% in 1999. For blacks it was 57.6%. To arrive at residential racial integration, about 2/3 of black households would need to relocate. Blacks make up about 13% of the U. S. population, but own only 5% of all businesses and receive less than one-half of 1% of business sales. Unemployment rates for blacks is twice that of whites. What follows is a letter from Andre F. Shashaty, Editor of Affordable Housing Finance, a trade journal of affordable housing developers and financeers. The catchy title got my attention. The essay is vastly more important, and the advice he gives Mr. Pitt is priceless. 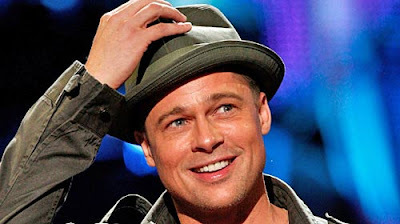 No one can criticize Brad Pitt for what he has been doing in New Orleans. The only problem with his approach is that it simply isn't enough. While private, personal and group charity will always play an important role in community renewal, the scale of our problems in New Orleans and in every other urban center in the nation demand much, much more. We need change in the worst way in terms of a national housing policy. After you've read the letter, let me know your reactions. NEW ORLEANS—Visiting this city for the first time since Katrina, I was not that shocked by what I saw. After all, I’m from Youngstown, Ohio, which suffered a storm of its own, only an economic one. In the Lower Ninth Ward, where actor Brad Pitt says he plans to build 150 homes, I felt New Orleans had a slight advantage over my hometown. It had the Army Corps of Engineers on hand to tear down all the dangerous hulks that used to be homes. The problems this city faces are not that different than those of Cleveland, Youngstown, Detroit, or other cities that have been facing decay and decline for years. And if the home mortgage foreclosure disaster keeps getting worse, as it appears it will, other recently healthy urban areas will soon join this unfortunate club. Sure, presidential candidates and congressmen are playing at housing policy as they realize the economic impact of the housing market slump, but they are tossing out possible solutions like baseball mascots tossing Cracker Jacks into the bleacher seats. A year or three ago, those of you in the tax credit business could stick to your knitting and ignore the huge gaps in American housing and urban policy. Many of you wrote off the Department of Housing and Urban Development (HUD) and stopped dealing with that hellhole years ago. But guess what? Your comfort zone is no longer a safe hiding place. Tax credit deals have been getting harder to put together for a while, but now we are reaching a critical phase as equity repricing continues for a second year and costs and allocating agency mandates keep increasing. It’s time to wake up and smell the formaldehyde. We are at a crisis point in housing and urban affairs in this country. It’s no longer about complaints that our progress is too slow. Rather, as former Enterprise Chairman Bart Harvey told me, we are at risk of watching much of the progress we have made over 20 years disappear. In 10 months, a new president takes office, and he or she will have a thousand things to worry about. We all know the fundamental nature of the nation’s housing woes and how an effective housing policy could help the economy, our children’s health and education, our transportation systems, and on and on. But we also know that the folks in Washington and the folks advising the president-to-be have no idea what to do about any of this. It’s our job to tell them. You have fought on the front lines of housing development. You’ve confronted NIMBYism. Now it’s time to go out and fight on the political front lines to elevate housing to be a key election-year issue and a top priority for the first 100 days of the next president’s term. I wish Mr. Pitt good luck in his venture, but if he really wants to help New Orleans, he’d be in Washington, not the Ninth Ward. He’d recognize that what’s needed is a new national housing commitment, and he’d lead a march on Washington. Imagine what might happen if he traveled across the United States, stopping at troubled neighborhoods and highlighting the scope and breadth of our housing and community development problems, arriving in Washington just in time for the inauguration of the next president. Maybe that is too much to hope for, but we have to think big and act boldly to make the need clear. There hasn’t been a chance like this since the Tax Reform Act of 1986, and it’s up to us to take advantage of it. Read our story on what the next president needs to do about housing on page 24. And then get out there and take political action. The time you invest in the next 12 months will determine what happens to this industry and the people it serves for many years to come. Maybe it's my increasingly advanced age or, possibly, just impatience, but the words of the hymns sung in church become more important to me as time passes. I suppose that I've grown weary of what one young friend of mine calls "happy clappy church songs." I can carry that hope into Monday! The Hillary Clinton campaign created a media stir over the past couple of weeks when Ms. Clinton told a story about a woman who was denied health care because she couldn't pay. As the story unfolded, she was accused of distortion of the facts and of outright falsehood. I recommend Paul Krugman's comments in today's edition of The New York Times. Krugman clears up the nature of the facts, demonstrating that the candidate did not tell a lie. She and her staff could have worked a bit harder to get the details of the case clearer before using the story. More to the important point, Krugman illuminates the tragic stories of health care failure in the United States among the uninsured, working poor. Clinton's point as well. What are we set up to see? If you haven't seen this before, I challenge you to take this short test. Here's the deal. Watch the video and count how many passes the white team makes. What did you see? After you watch, be sure and check out the questions below. 1) What did you see? 2) What did you miss? 4) What does this brief experiment teach you? 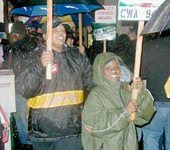 What follows is an Executive Summary of a report written by John Schmitt, Senior Economist at the Center for Economic and Policy Research (http://www.cepr.net/) entitled, "Unions and Upward Mobility for African-American Workers." To read the full report, click on title link above. Underwriting for the research came from the Ford Foundation. Lots to consider here about how social stability is lost and realized, depending on the economic realities in play. I'd love to get your reactions, as always. This paper examines the impact of unionization on the pay and benefits of African-American workers. The most recent data suggest that even after controlling for differences between union and non-union workers —including such factors as age and education level— unionization substantially improves the pay and benefits received by black workers. On average, unionization raised black workers' wages 12 percent --about $2.00 per hour-- relative to black workers with similar characteristics who were not in unions. Our findings demonstrate that black workers who are able to bargain collectively earn more and are more likely to have benefits associated with good jobs. We conclude that better protection of workers’ right to unionize would help improve the pay and benefits of African-American workers. Justice fails: Labor losing ground while corporate profits soar! There were 5.37 million people who fell into poverty from 2000 to 2005; during the same time, there were 6.8 million more people without health insurance. . . . And the average wage of new jobs created in this decade is more than 20 percent below the average wage of jobs lost. . . .
All these developments occurred when the economy was growing, worker productivity was increasing, and corporate profits reached a forty-year high. . . . Unlike previous recoveries, this time working families are not gaining ground. The share of national income going to workers is the lowest on record, while the share of national income going to corporate profits is the highest on record. The Center on Budget and Policy Priorities reported that as of 2006, wages and salaries paid to workers as a percentage of GDP stands at the lowest level on record, 51.6 percent. The share of income going to corporate profits was the highest on record at 13.8 percent. In fact, slow wage growth is boosting corporate profits. According to Goldman Sachs, slow growth in labor compensation explains 64 percent of the increase in profit margins over the past year, and "the most important contributor to higher profit margins over the last five years has been a decline in labor's share of national income." Last Wednesday, Central Dallas Ministries (CDM) and CommuniCare, a non-profit organization in South Carolina, unveiled an exciting new partnership that will bring new prescription medicine benefits to thousands of low-income patients. All of the major pharmaceutical companies in the United States have "indigent patient" medication programs that offer free medicines to low-income patients who qualify. The challenge with these programs has been with the procurement process. Until now, the process involved a physician or other medical staff being required to complete a rather long and tedious application every time a medication was prescribed. The time and administrative paper work requirement made the programs difficult to use, especially for clinics like ours that serve thousands of patients with a limited staff and few volunteers. CommuniCare, under the leadership of Ken Trogdon, has worked hard over the past several years to develop a relationship with all of the major pharm corporations and a new process of accessing the indigent drug program. Thanks to CommuniCare, now our patients will need to qualify for such programs by means of one annual application and a $20 registration fee. One form and one fee for any and all prescriptions from any of the companies with the programs--huge improvement! The outcomes for CDM and our patients are exciting. State of the art medications will now be available to patients at no cost beyond the registration fee, a fee we pay when patients cannot. We will achieve significant cost savings that will allow us to purchase more medications that are affordable and treat more patients in our clinic. Beyond the benefit to CDM, as the new process is perfected here, we hope to "roll it out" across the Dallas area among our indigent health clinic partners. This new development promises to have major positive consequences for the uninsured working poor men, women and children who come to us for care, as well as for our other partners who face similar challenges. We are grateful to our partners at CommuniCare who are moving outside the state of South Carolina for the first time in this new initiative. As Ken says, "If we can make this work in Texas, we can make it work anywhere in the nation." Thanks also to Dr. Jim Walton, Vice-President of Health Equity for the Baylor Health Care System and CDM Board member, for his tireless efforts in seeing this new partnership become a reality. Last week, just before the 40th anniversary of the death of his father, Martin Luther King, III published an op-ed piece in the Atlanta Journal Constitution (April 3, 2008). Recalling the work and wisdom of his father, the younger King issued an interesting challenge to the Presidential candidates: during the first 100 days of the new administration, the new President should appoint a cabinet level "poverty czar" who would lead and orchestrate a new effort to reduce poverty in the United States. Taylor Branch and "The Last Wish of Martin Luther King"
Check out the provocative essay by Taylor Branch, biographer of Martin Luther King, Jr. and the American Civil Rights Movement. He references the same sermon posted earlier today here. Worth thinking and talking about. While you are at it, check out the video presentation by Taylor Branch at the National Cathedral on March 31, 2008. You'll find the link as you read the essay. Dr. Martin Luther King, Jr. delivered his last Sunday sermon on March31, 1968 at the National Cathedral in Washington, DC. In this important sermon, King called the nation to recognize its unique opportunity in the midst of a great human revolution. The sermon should be read and heard again today. What follows is the text of that historic message. The link at the end of the sermon text will provide a connection to audio excerpts of Dr. King's message. It is always a rich and rewarding experience to take a brief break from our day-to-day demands and the struggle for freedom and human dignity and discuss the issues involved in that struggle with concerned friends of goodwill all over our nation. And certainly it is always a deep and meaningful experience to be in a worship service. And so for many reasons, I’m happy to be here today. I want to say one other challenge that we face is simply that we must find an alternative to war and bloodshed. Anyone who feels, and there are still a lot of people who feel that way, that war can solve the social problems facing mankind is sleeping through a great revolution. President Kennedy said on one occasion, "Mankind must put an end to war or war will put an end to mankind." The world must hear this. I pray God that America will hear this before it is too late, because today we’re fighting a war. Not only that, it has put us in a position of appearing to the world as an arrogant nation. And here we are ten thousand miles away from home fighting for the so-called freedom of the Vietnamese people when we have not even put our own house in order. And we force young black men and young white men to fight and kill in brutal solidarity. Yet when they come back home that can’t hardly live on the same block together. Last weekend I led a conversation with participants in the Connections 2008 Conference sponsored by Children's Medical Center. The annual conference focuses on the needs of children and adolescents here in the Dallas area. Several requests have come asking for a copy of the PowerPoint presentation. The material can be found in two forms at the links below. Dr. Martin Luther King, Jr. died, the victim of a coward's act, forty years ago today. We do well by remembering his life, his work, his words and his dream for our nation. It is hard today not to wonder what the United States would be like had he not been cut down so early in his life. He was 39 years old. Dr. King lost his life in Memphis, Tennessee while standing with striking sanitation workers. He had not planned to detour from his work on the upcoming Poor People's March on Washington. But, when his brothers called from Memphis, he decided to respond to their plea for help. Your reactions are always important. Tell us what you think and feel. Most of us take our advantages for granted. I expect most reading here today have never experienced "oppression" and its side effects. But, sadly, many have and do today. Yesterday morning I saw the segment below on The Today Show. It describes new research and an upcoming 4-part television series based on this research documenting the fact that race, socioeconomic standing, education and other social factors determine length of life and health status. In short, inequality is making us sick. Injustice has very real, practical, life and death consequences. You will be able to catch the entire report by checking your local listings for PBS programming or by visiting the website at www.pbs.org. Watch the segment. Tell me what you think. Below is a video from The Today Show called "Is inequality making us sick?" Need a shot of hope? Want some encouragement about what is actually possible in the lives of the poorest urban Americans? Take a look at a short video clip we put together to tell the stories of "Destination Home," our initiative aimed at providing permanent supportive housing for our homeless brothers and sisters. As always, I'd appreciate your feedback, conversation and questions! Want to help? Here's your chance! We recently got Barbara into an AmeriCorps membership through which she earns $180 every two weeks… which, she says, is the most money that she has made in a long time. She is working part-time at the SoupMobile, where she helps run the warehouse, kitchen and feeding program. Every day, she helps prepare and distribute nearly 500 meals to her neighbors who are also living on the street. Next month, she will be moving into a more permanent housing situation. David Timothy, the leader of the SoupMobile, is getting married and moving out of his home at the SoupMobile headquarters. He is letting Barbara and her husband, Joseph, move in next month. He also recently hired Joseph to do some work for him. David has paid for Barbara and her husband to stay in a hotel for the past few nights, but his funding is running out. Their room costs about $25 per day, but Barbara and Joseph have committed to covering as much as they can themselves. If I can raise $500, then I think they will be in the clear. I have two commitments of $150 each, and another of $100. I am asking you to please consider making a donation towards the $100 that we still need to help one of our AmeriCorps members transition off the streets. Even a donation of $5 would be greatly appreciated. I would love to tell Barbara and Jospeh that we had a long list of people pitch in to support them! To help with this "instant campaign," email Jeremy at jgregg@CentralDallasMinistries.org or go to www.CentralDallasMinistries.org and donate on line or mail your donations to Jeremy Gregg, CDM, P. O. Box 710385, Dallas, Texas 75371-0385. If you need more information, call Jeremy at 214-823-8710 ext 127. I've referenced Cory Booker, Mayor of Newark, NJ, here in the past. His personal story and his vision for urban America captured my attention when I first read about his work. The fact that he chose to live in public housing was what initially caused me to take a closer look at this young leader. 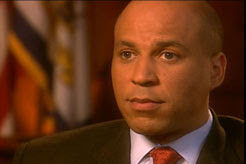 Last Friday evening, Booker appeared on Bill Moyers Journal, a PBS program that aired on KERA Channel 13 here in Dallas. You can catch his interview with Moyers, as well as find your way to a informative segment on the 40th anniversary of the Kerner Commission Report on race relations in the U. S.
Just use this link: http://www.pbs.org/moyers/journal/03282008/profile2.html. Let me know what you think of Mayor Booker.